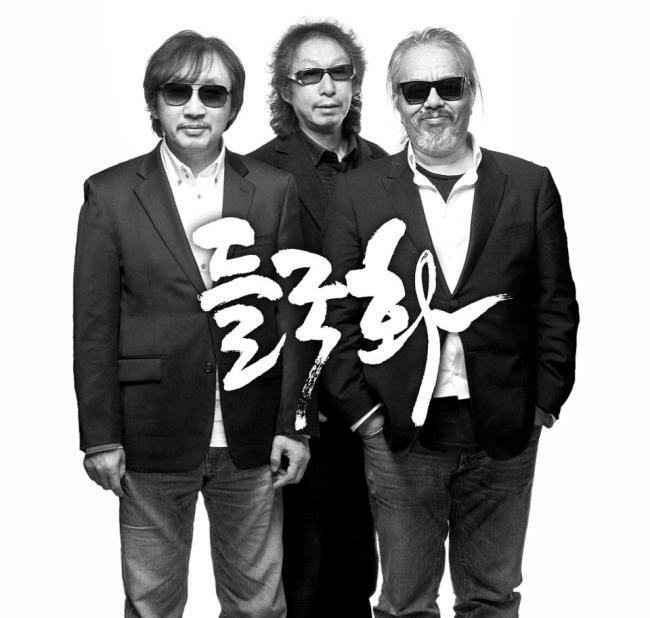 The legendary rock group Deulgukhwa, dubbed the Beatles of Korea, has reportedly decided to disband, just one year after reuniting with a sold-out concert series. The death of drummer Joo Chan-gwon earlier this year is seen to have played a major role in the band breaking up, insiders said. According to sources, the band, originally with three members but now consisting of lead vocalist Jun In-kwon and bassist Choi Sung-won, has been under great stress since Joo’s sudden death in October. Joo, considered the peacemaker in the group and one of the best drummers in the Korean music scene, passed away on Oct. 20. At the time, Deulgukhwa was recording its first new album in 24 years, which was released on Dec. 6. “The remaining two members discussed the feasibility of running the triumvirate without Joo. Joo’s death seems to have taken away their driving force. Choi and Jun decided to go their separate ways,” a music industry insider said. This is the third time the band has split up. Debuting in 1985 with “Haengjin (March),” the group gained phenomenal popularity with the younger generation. Jun’s rebellious vocals and the sensual and sophisticated lyrics and melodies of Choi, accompanied by the powerful drum beats of Joo, are said to have encouraged and consoled youths suffering under the authoritative military regime of the 1980s. Many of their songs were banned from distribution because of their rebellious content, while Jun’s marijuana use ― leading to his arrest and prosecution ― jeopardized the band’s future. In 1989 the team split after holding a farewell concert. The members briefly reunited in 1998 when Heo Seong-wook, the keyboardist on the first album, passed away, only to break up shortly afterwards. They reunited last year and held a series of concerts that was welcomed by critics and listeners. The band remains legendary among music fans. Its first album, “Haengjin,” was ranked No. 1 on the “100 Greatest Music Albums of Korea” by a group of music critics, journalists and music producers in 2007. Its latest album, “Deulgukhwa,” quickly gained praise from listeners as well. “I can surely say that there is no band like Deulgukhwa in the world. Though its music could easily be labeled rock, it explored other realms of music. Just listening to ‘That was My Only World,’ ‘March,’ or ‘Flower Behind Your Ear’ you can feel the pounding of your heart when Jun howls a very sensitive lyric,” said Owen Cho, a music critic. “The band has always tried to go in new directions while walking the same road. The fact that Joo’s death has led to the (latest) split proves that each member is irreplaceable. It is a great loss to Korean pop culture,” he said.